Flying Boats Brewing – A New Brewery in Shediac Bay, N.B. 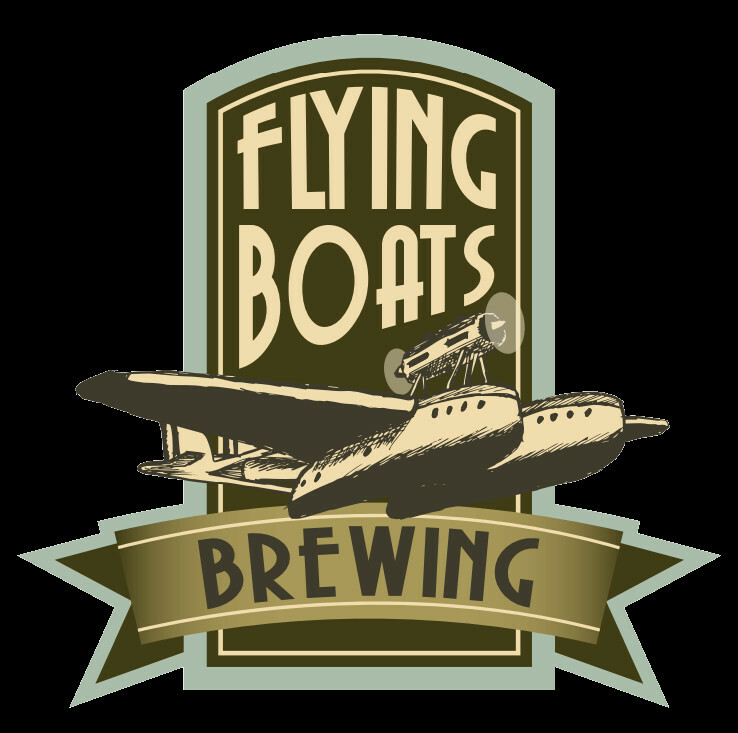 Flying Boats Brewing is a new small scale brewery, recently opened in the Shediac Bay, N.B. region, by Marc Melanson. The “Flying Boats” moniker and beer names are a nod to the history of transportation in southeast New Brunswick, including its early aviation, railway, Ships and boats, and highway travel. This part of NB has a unique and interesting history that will be celebrated with full bodied and flavourful craft beers that will be tied to these stories. Marc was kind enough to answer a few questions about Flying Boats, his beers, and his brewing history. I worked as an automotive engineer in Europe for 10 years and built a love for premium, good quality beers, as well as the dedication to the craft, especially in Germany. Upon returning to Canada in 1992 and being disappointed with returning to the local beers offered, I started to brew kits (not very good by today’s standards, with info available and quality yeasts) and searching out the early micro breweries. Family years put a halt into home brewing until about 6-7 years ago when I started again and progressed all the way to All Grain. I started with kits again, 6-7 years ago, then started to add extra hops, partial grains and other techniques to end up to All Grain today. I practiced my sanitation techniques, temperature control, and yeast handling over hundreds of 23 L batches to get a good understanding of the variables. I also read, picked fellow brewers’ brains, attended events, etc… One of the biggest lessons learned early on is to be prepared by having everything ready (set up, sanitation, ingredients, timelines, etc…). I am currently brewing on a 10 G systems but recently ordered a 2 BBL system from Stout Tanks, which is scheduled to arrive in Sept. My approach is more of a “controlled” growth so I can focus on creating and delivering high quality beers at this stage. I am the primary brewer at this point, but I have a few brewing assistants who help me from time to time. I am currently the only brewer, with my wife helping (voluntold) with back office accounting, social media and other tasks. I’ve had a lot of help and advice from other brewers (thanks to Shane Steeves from Hammond River) and other friends who’ve helped me set up my “brew shop” in my converted garage. I plan to distribute to southeastern NB tap accounts, the Fredericton area and selected Craft Beer events. No current plans for bottling. I am also planning to ramp up production this fall with my new system to make some of my kegs available through the ANBL Growler program (work in progress). I have submitted three more beers for full time listing by ANBL, which will go through the tasting and selection process later this month: An Extra Special Bitter, Humpyard Steam Ale (California Common), and the Picnic Train Witbier. There will be 5 or more new styles released in the fall and winter, as production increases. Have you had any assistance from other breweries or people in Atlantic Canada (or elsewhere)? The craft beer brewing scene is pretty amazing with great camaraderie. I’ve received lots of verbal support, as well as help on transitioning to larger brewing systems thanks to Shane Steeves at Hammond River Brewing. Also, the online community of The Brewnosers and the crew at NBCBA and NBCAPA have been very helpful. With the recent increase in the number of new breweries in Atlantic Canada, what will make Flying Boats different from the rest? I believe that there is still lots of room for growth in the craft beer segment, which can accommodate new entrants. More craft brewers helps the whole segment with lots of choice and beer styles. Where do you hope to see Flying Boats in the next 2-3 years? My initial goal is to become a well established “Local Craft Brewing Company”. The next steps will be determined by feedback from my customers. After several years of brewing and encouragement/feedback from friends who enjoyed all the variety of beer styles I have brewed, I decided that I wanted to do this full time. If you’re going to invest this kind of money and time, it only makes sense to get all the necessary permits and listings. It’s a lot of work, some of it not glorious (cleaning), but it’s what I want to do. Books, Online, events, friends…. and most important…. brew, brew and more brewing to learn the nuances of the results with different hop schedules, malt mash temps, yeasts, temp control, etc…. Thanks again to Marc for answering our questions. Follow along with Flying Boats’ releases of new beers and licensees on their Facebook and Twitter pages. Be sure to drop by the spots in Shediac and Sackville to grab a pint of his beer today. Humpyard Steam Ale, a California Common Ale (aka Steam Ale) that has typical Pale Ale ingredients, but is fermented with a Lager yeast at elevated temperature. This creates a nice malty caramel flavour balanced with Northern Brewer hops and a crisp finish taste, and comes in at 5.8% ABV and 46 IBUs. Stove Pipe Gang Black IPA, a full-flavoured dark malt ale with plenty of hops (4 varieties) including a dry hop for aroma. It weighs in at 6.9% ABV and has 96 IBUs. ← Friday Wrap-Up – News and Brews from Flying Boats Brewery, Red Rover, Garrison, Fredericton Craft Beer, King Street Ale House and much more! I really love the Empress Red Ale but cannot find it. I have a keg system at home and would love to be able to buy one. We live in the Shediac neighbourhood, and was able to try it at St. James Gate at Hotel Shediac but upon returning and requesting it. Was told that Molson made them take it out. HELP … I love this beer ! We’ll let Marc know, and see if he can help you out!